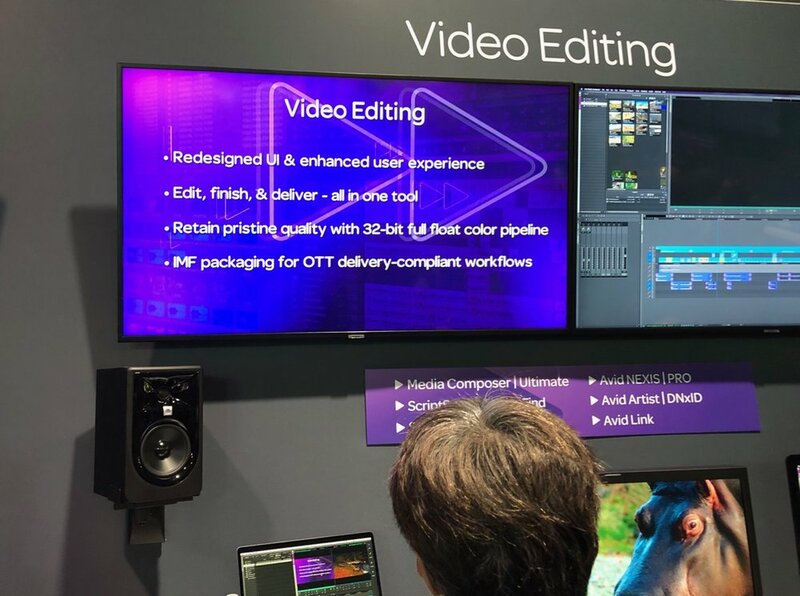 The new Avid MC (Media Composer) made a splash at this year’s NAB Show. The specs for this new software include 32 bit floating color and support for 16k resolution. The Avid MC has been retooled to provide maximum efficiency for your projects. With a new user interface, rebuilt engine, built-in audio, color grading and delivery features, this system presents itself as major competition to similar applications. The new Media Composer will be able to handle distributed rending. This means that you will now be able to leverage render nodes or other idle Avid systems to help crank out your projects. We know this will definitely be utilized when working in 32 bit float workflows. We will be putting the MC through some rigorous testing in the coming weeks to see which hardware configuration will offer the most performance boost. The updated MC also includes direct IMF (Interoperable Master Format) export package for OTT and other production companies. Avid is working on more standards with some of the major streaming distribution platforms such as Netflix and in fact, Avid is one of the members of the Neflix Post Tech Alliance. TV shows and films served as inspiration for the upgrades made to the Avid MC. Production is becoming more and more complex, and there needed to be a system that could deal with more elements. We can’t forget the new paneled user interface and task-based workspaces. These features make room for a more organized workspace, meaning large production companies can now customize the interface for various roles in their organization. The new engine can deliver faster playback for video and audio streams, live timeline and background rendering which is sure to shorten turnaround times. Worried about security? The AvidMC offers maximum security for content, lowering the chance for unauthorized leaks. It will be very interesting to see how much GPU / CPU this new version will take advantage of. We will be posting our test results very soon! Our company rents computers and servers and often our clients are smaller facilities that have to scale up for a big job. These customers usually don't have an IT person on hand to deal with the inevitable hiccups that occur when you have a lot of equipment around. Even though we provide support, we've learned that we have to emphasize to our renters that if there's a problem, call us first! All too often in the heat of the moment, someone on their team decides he or she will try a few things. Not good! I thought it would be helpful to share some thoughts with you as to how to avoid turning a simple problem into a disaster. The first rule, don't do anything while the machine is running a process. Wait as long as you can and add 15 minutes to that. Rebooting can solve a lot of problems but not if you kill the power while the machine is computing. Never kill the power, period! Restart the device using a command, doing a force quit, or pressing the power button. 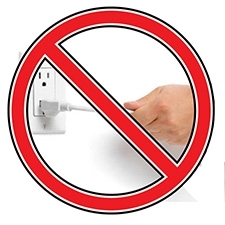 Don't pull the plug. Along the same lines let's talk about removable hard drives. Do nothing while they're reading or writing data. Typically, this is indicated by a rapidly flashing light on the front of the drives. One of the worst expressions associated with RAID arrays is 'hot-swappable.' If you think one of the drives in your RAID is faulty, follow a safe procedure or call us at VFX Technologies for support. Ejecting a drive or a flash card without following proper procedures can lead to a catastrophic disaster, possibly the loss of all data on the device. Keep your original media assets safe and close by while you're working. Save and back up, use a RAID if you can and if you can have a near-line server or backup to drives, even better. There are very simple methods of backing up the critical folders of a job quickly and easily. Depending on the specifics, I can share this information with you, just drop me a line. A good practice, if you can, is to keep your project on a network not connected to the Internet. If your team can be on workstations and storage servers independent of the primary network, you avoid a lot of potential problems such as intrusion, malware infection, misuse of assets, and loss of productivity. There are several approaches to this solution that depend on your circumstances. Again, if you want to know more, get in touch with me. Have a Battery Backup Device (UPS) or a surge protector at least. Keep your equipment in a cool and clean environment. Don't ignore warning signs, error messages, or system crashes. It's easier to solve a small problem than a big one. It's better to make sure your systems are in good condition before you start a project. It's smarter to ask for help when a problem arises.